Perhaps the most common question I get from my customers after a day of steelhead fishing on the Chetco and Smith rivers is what do I use to cure my bait. I’m happy to let them know. We call the eggs I use for winter steelhead in my boat “Steelhead Candy.” They have a natural color with a slight tint of pink, are sweet, and stay on the hook well. 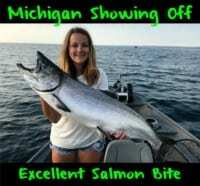 Best of all, steelhead like them. Last week alone, the eggs accounted for day after day of limits, along with several wild fish we released. The best day saw my clients hook 15 steelhead and land 13 – numbers common on some rivers, but on the Chetco a fairly extraordinary count. We even enjoyed a few doubles. My favorite cure, the recipe for “steelhead candy,” is easy and quick. I start with a cup and a half of natural Pautzke BorX O’ Fire. 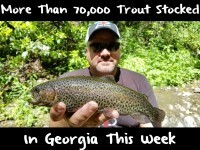 That alone cures great-fishing baits for steelhead. But I’ve found a way I think makes the eggs fish even better. I add a half-cup of sugar, and a couple tablespoons of pink Pautzke BorX O’ Fire. The result is an ideal mixture of borax, sugar, salt, krill and pink dye that steelhead can’t resist. The eggs also last for several weeks in the refrigerator, and are among the sweetest eggs on the river. Steelhead definitely have a sweet tooth. The addition of the pink BorX O’ Fire gives the eggs a little bit of a brighter color. In high, off-colored water, I may add more of the pink cure, but the natural BorX O’ Fire remains the main ingredient. To prepare the eggs, I’ll cut each skein lengthwise, and then cut the divided skeins into golf ball-size clusters. Before fishing I’ll cut those clusters into dime or nickel size pieces, but for curing I like the slightly larger clumps of eggs. The clusters of eggs are placed in a plastic container and the cure is generously sprinkled on top. I mix the cure in a plastic bag and pour the mixture directly onto the eggs from the bag. After gently rolling the eggs in the cure, I’ll add a little more and mix again, then place the roe in a plastic zipper bag. If I’m going to add additional scent, I’ll do it now, sprinkling several drops of anise, shrimp, sand shrimp or squid scent into the bag before sealing. Over the next few days, the cure will pull the liquid from the eggs before it is reabsorbed. After three days of curing, I’ll lay the eggs on paper towels and let them dry for several hours. The longer the eggs are allowed to dry, the harder they will become. You want firm, tacky eggs, hard enough to stay in an egg loop but soft enough to burst in the mouth of a biting steelhead. After a half day to day of drying, I put the eggs in a plastic bag and add a little borax to keep them dry and help prevent mold. Fishing steelhead candy I generally side-drift for steelhead. At time we’ll also pull over and drift fish. Either way, we rig up with a 3 1/2-foot leader, usually 10- or 12-pound fluorocarbon with a size 4 or 2 Lazer Sharp octopus hook. I tie a small piece of orange, pink or red yarn to the egg loop. A single Puff Ball, usually pink, is added with the roe cluster. Pautzke pro staffer Andy Martin is a full-time fishing guide. 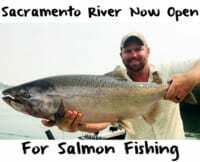 During steelhead season he’s often found on the Chetco River near his home in Brookings, Or., but also fishes the Smith in Northern California and Rogue, Elk and Sixes in Southern Oregon. During the summer he runs a charter boat in Alaska. His web site is www.wildriversfishing.com.